Monday came out of nowhere. My grand plan about posting a lot this weekend was interrupted by life. Classes started, two small parties happened, a lot of homework happened, and then to top it of there was a small hanami-party and a bye-bye party on Sunday, leaving very little time in front of the computer. I bet my mac feels like a neglected girlfriend at this point. I have been thinking about getting new glasses, but there are so few designs that I like, and I don’t even know where to start looking for frames. 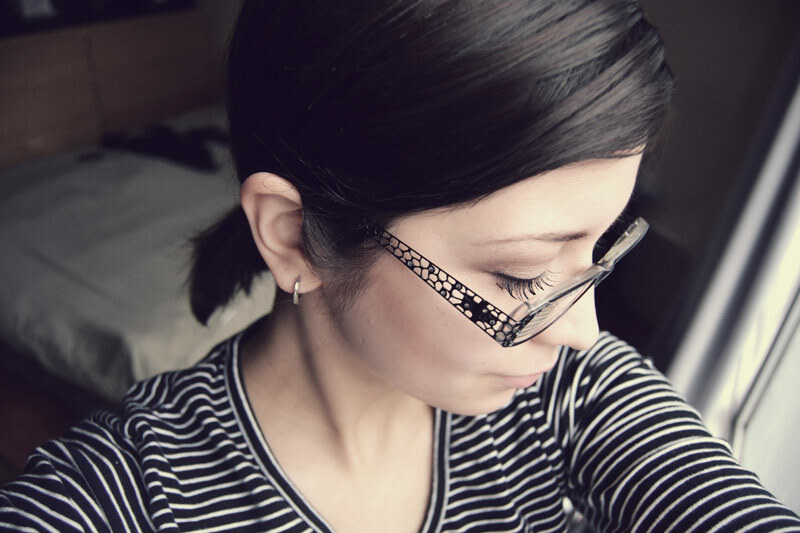 I would want something original, and I my two previous pairs of glasses were from LaFont. Suggestions welcome. Hey! With how busy you’ve been lately, you can forget about the mac feeling like a neglected girlfriend…how about the *real* gf feeling like one? !